Dr Pepper Dallas Cup | Dallas Cup, Inc. Since its inception in 1980, Dallas Cup has enjoyed a rich history of combining marquee teams and talented up-and-coming players with the ability to forge long lasting friendships and memories across many nationalities and cultures. Below are some of the interesting facts that makes Dallas Cup so special. 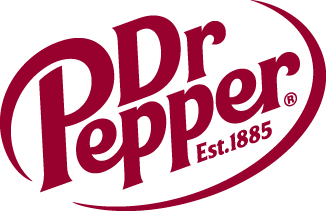 The Dr Pepper Dallas Cup is an annual event held during Easter Week (Palm Sunday through Easter Sunday). As such, the calendar dates change every year. · Mission Statement: To promote the well-being of young people through athletic competition, cultural appreciation, and educational opportunities. · To ensure the highest level of competition each year, the Dallas Cup is an invitation only tournament. · Throughout the tournament’s history, Dallas Cup has hosted teams from 48 U.S. states and over 100 countries, across 6 continents. · Over 900 international players participate in the tournament each year. · On average, Dallas Cup entertains over 105,000 spectators during the tournament week. · The Dallas Cup contributes more than $17 million annually to the local North Texas economy. · Several of the world’s most prestigious clubs have participated in the Dallas Cup, including Manchester United, Real Madrid, Barcelona, River Plate, “Chivas”, Flamengo, Boca Juniors, Club America, PSG, and AC Milan, among others. · Dallas Cup has seen some of the biggest soccer stars in the world play in the tournament. The list of alumni includes David Beckham, Landon Donovan, Clint Dempsey, Wayne Rooney, Chicharito, Raul, Andrea Pirlo, Giovanni dos Santos, and many more. 1 out of every 19 nineteen players on the 2014 FIFA World Cup rosters were Dallas Cup alumni. 11 of the 32 teams featured a Dallas Cup alum. The 2018 FIFA World Cup featured 28 Dallas Cup alumni. Dallas Cup alumni have gone on to play in over 500 World Cup games. 200+ elite referees from around the world, many with international league experience, officiate tournament matches. Dallas Cup is possible due to the hard work and dedication of 1500+ volunteers which log more than 7,500 hours per year. Over 6,000 participants & spectators travel to Dallas by air each year. On average 30 international teams and 30 international referees take part in the Dallas Cup HomeStay Program with local Dallas families.